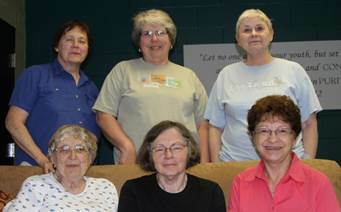 Ten beautiful prayer shawls crocheted or knitted by the Prayer Shawl Ministry were blessed on June 2, 2013. After blessing, prayer shawls are typically given to those undergoing medical treatments or procedures; during an illness and recovery; to provide comfort in bereavement or other times of stress; for prayer or meditation; to celebrate significant events such as the birth of a child, birthdays, weddings, anniversaries, graduations, ordinations…the possibilities are endless! 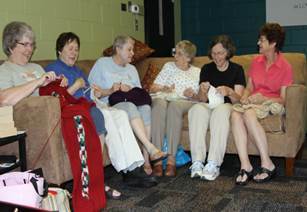 The Prayer Shawl Ministry at St. Timothy meets every other Friday and the last Monday of the month. If you have questions or would like information about starting a similar ministry in your congregation, you can contact St. Timothy’s Lutheran Church at 717-737-5243.